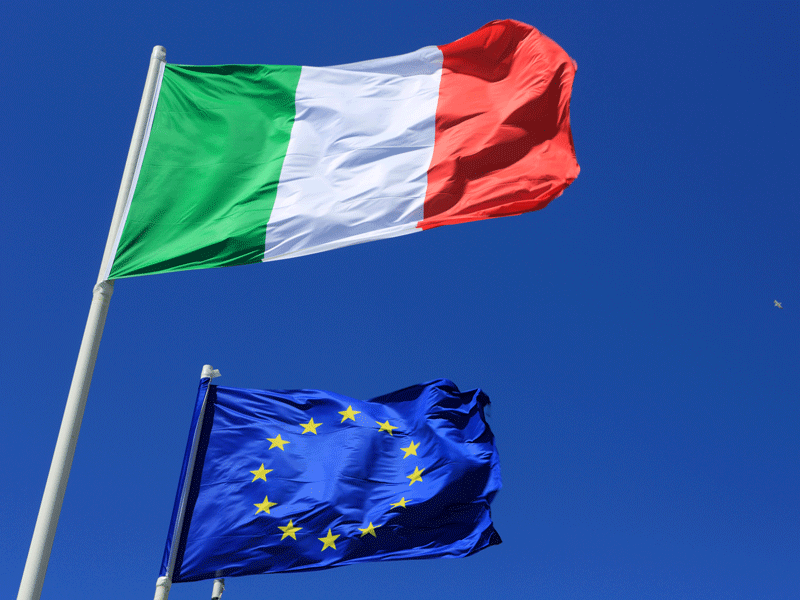 Italy’s new populist government sparked a fiscal war with the European Commission after announcing a provocative new budget on September 27. The administration, a coalition between the anti-establishment Five-Star Movement and the right-wing League, has set a deficit target of 2.4 percent. Comparatively, the previous centre-left administration had set a 0.8 percent target for 2019, and had hoped to balance the books by 2020. Italy has the heaviest debt burden among large EU economies, equating to around 130 percent of its gross domestic product. The country has previously been warned by Brussels that it must rein in its spending and cut its deficit, owing to fears of a debt crisis within the central eurozone. However, Deputy Premiers Matteo Salvini and Luigi Di Maio have elected to flout Brussels’ directives and introduce an inflated deficit to fund costly promises made during the election campaign. These include increases in welfare spending, tax cuts for a million workers, and a boost to public infrastructure. This decision has also sparked a clash within the administration itself, as finance minister Giovanni Tria, an unaffiliated economist, had advocated a more modest 1.6 percent deficit. Salvini and Di Maio do not appear to be willing to address the internal conflict, stating: “there is an accord within the whole government.” However, several Italian newspapers reported that Tria was angry that he had been overruled and was considering leaving his post. To avoid this, President Sergio Mattarella, Italy’s head of state, reportedly called Tria late on September 27 and asked him not to resign due to fears of market uncertainty. The euro slumped 0.8 percent against the dollar immediately following the announcement, but subsequently regained ground. It remains to be seen whether this new budget will cause the eurozone debt crisis feared by Brussels. Nevertheless, for many analysts, the next few weeks will be spent keeping a close eye on key market indicators to establish the international implications of the explosive deficit announcement.